Imagine a regular weekday – you wake up, get dressed for work and pack your lunch. Everything’s going great until you look into the mirror and realize your hair’s a complete mess. You have no clue as to how it can be fixed and worse still, you’re short on time. A nightmare, isn’t it? Don’t worry! We have the perfect solution to your daily hair struggles – 3 easy styles that will work magic on your appearance. Ready to surprise your work buddies (and yourself)? 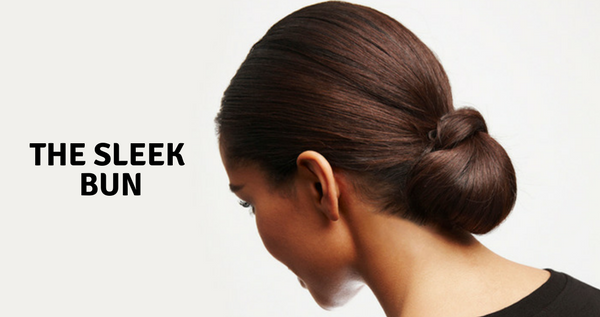 If your job title commands respect and you love to flaunt it, the sleek bun is ideal. It spells respect with a capital ‘R’ and adds a ring of sophistication to your demeanor. Besides, it works well for long hair and is perfect for a bad hair day, when you have no choice but to tie your mane in a bun. All you have to do is pull all your hair up into a high ponytail, using a spray to keep the strays slicked down. Wind a bungee hair tie with your free hand, and hook it on to the base of your ponytail. Then, apply some hairspray on the hair tail, roll it tight and wrap it into a bun around the base of the ponytail. If you have curly and frizzy hair, this hairdo can be a bit cumbersome. So, make sure you straighten your locks and let the flyaways settle. 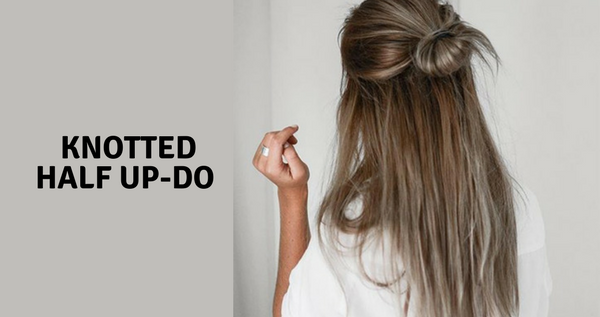 If you’re a more laid-back person, not into making a big statement, yet eager to stand apart from the crowd, you should opt for the knotted half up-do. It works well for medium length hair and looks especially pretty if your tresses are curly or wavy. Simply tie half your hair in a ponytail. Then, twist the ponytail into a knot. Tuck the ends way by using hair pins. Leave the rest loose. Make sure you blow dry your hair beforehand to give your locks a burst of volume! Ponytails can be as versatile as you want them to be. From school to work and everything in between, you can never go wrong with a ponytail. Try a wrapped ponytail the next time you want to look classy and fun at the same time. It looks great on straight hair but works well with almost any hair texture and length! 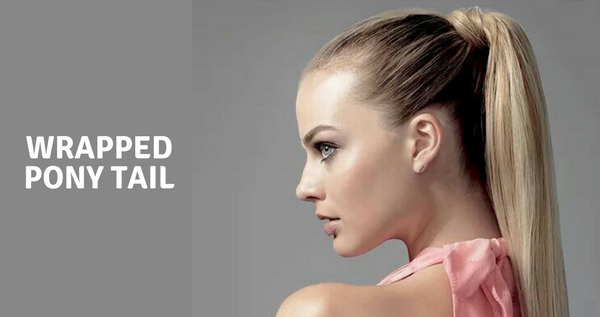 Pull your hair back into a regular ponytail, continually taming the flyaway strands. Take a small section of the top of the ponytail and wrap it around, hiding the rubber band beneath. Secure the remaining bit with bobby pins and you’re good to go! It’s really easy and takes up very little time. You could either blow dry or straighten your hair prior to pulling it into a ponytail, so it stays in place for a longer time. There are tons of ways to style your hair – appropriate for work and gorgeous at the same time. If you loved these hairdos, ensure you have a good hair straightener and blow dryer to back you up. 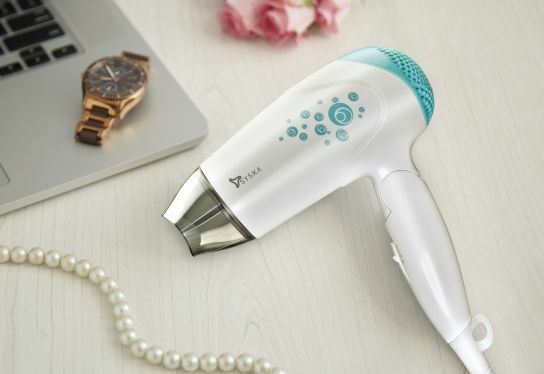 The SYSKA HD8208 1600W Hair Dryer is a handy hair tool with 3 temperatures and 2 air-speed settings so you can fix your hair, your way, without any hassles. 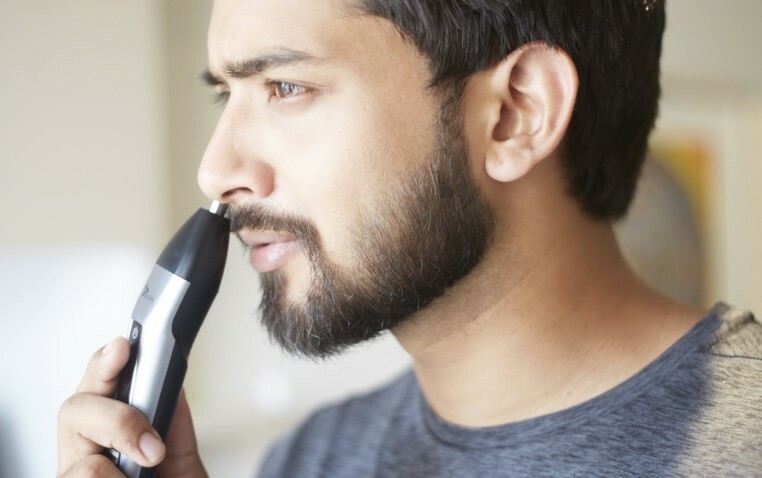 In fact, the SYSKA HS2021i Ionic Hair Straightener, too, offers 6 temperature settings so you can achieve the perfect hairstyle in a matter of minutes. Can’t wait to try out these hairdos, can you? Then, grab your Syska hair tools and get styling!